Donald Trump is the apex of the Republican model of government. What is happening today is exactly what has been desired by conservatives like, Richard Nixon, Ronald Reagan, Newt Gingrich, Jerry Falwell, Rush Limbaugh, Michele Bachmann, Sarah Palin, Rick Perry, Mitch McConnell, and Paul Ryan. It is a corporate government, not to serve the public, but as a corporation to satisfy the desires of the wealthy. It is racist. It is secretive. And it is illegal. Our model of government is that it is a government of the people and by the people. What Trump is doing is anything but that. It is a model of government that Vladimir Putin has perfected, and it seems apparent that he has been trying to export his perversion of government to create subsidiaries of his corporate government in democratic countries. There is ample evidence of a Trump/Putin connection that is inappropriate for the Office of the President. It would be cause for investigation and removal from office; however, our Republican leadership is in the same bed as Trump. Still, the tolerance of the political fiasco in our country is wearing thin, and the United States doesn’t suffer fools for long. Before that happens, our country needs to establish a plan of how we will move forward and not let this happen again. It will not be enough to remove Donald Trump from office. He will need to be prosecuted for his crimes against our country. There seems to be enough evidence to suggest that he should be charged as a traitor. If found guilty, he must face punishment. There can be no pardon for him. If he is found guilty of crimes against foreign countries, extradition should be on the table. All his assets, and any asset using his name should be confiscated and placed in the public treasury. He cannot be allowed to walk away with the fortunes he is gaining at the expense of the citizens of this country, and we should not be forced to see his name on buildings, projects, and programs. His children must also be investigated, and prosecuted if they are suspected of acting against the interest of the people of the United States of America. All Trump appointees, and anyone hired into federal service during the Trump administration should be removed from office immediately. All actions taken by Trump and/or his appointees should be immediately rescinded. There is likely no legal precedent to allow all of these actions, but Trump has violated the established norms and mores of our country, and legal precedent does not apply. John McCain still bitter about 2008? 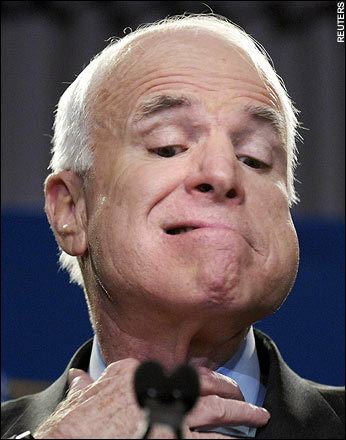 Republican Senator John McCain promised that a Susan Rice’s nomination for Secretary of State will be blocked. 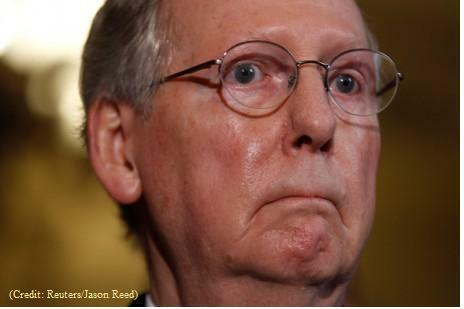 Republican Senator Mitch McConnell says that he has a mandate for Republicans to push America over the fiscal cliff. 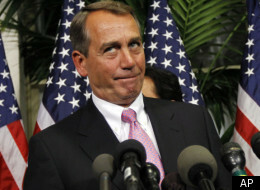 Republican Representative John Boehner says compromise with Democrats is now possible if President Obama gives up the tax increases favored by most Americans. At least we know that the wealthy, old, white men in Congress haven’t changed. After Republicans had major wins in the House and Senate in 2010, 42 Republican Senators signed a pledge to gridlock Congress and defeat any attempt by President Obama to move the country forward. That was 716 days ago. After shocking losses in the Senate, losses in the House that defied the gerrymandering of State Republican legislatures, and Mitt Romney’s loss of the century for President, the GOP is determined to pretend the 2012 election did not happen. That means America can expect the Republicans in Congress to offer more of what they gave us in the last two years. Perhaps Senator John McCain will once again suggest another corporate tax holiday so wealthy white men can buy private planes and yachts. Perhaps Senator Dean Heller will again attempt to pass a law that will prohibit millionaires from receiving Food Stamps. Perhaps Representative John Boehner will again suggest that the Department of Justice pay Republicans to uphold the Defense of Marriage Act. Whatever they do, we can expect that they will hold America hostage to make sure nothing works in Washington D.C.